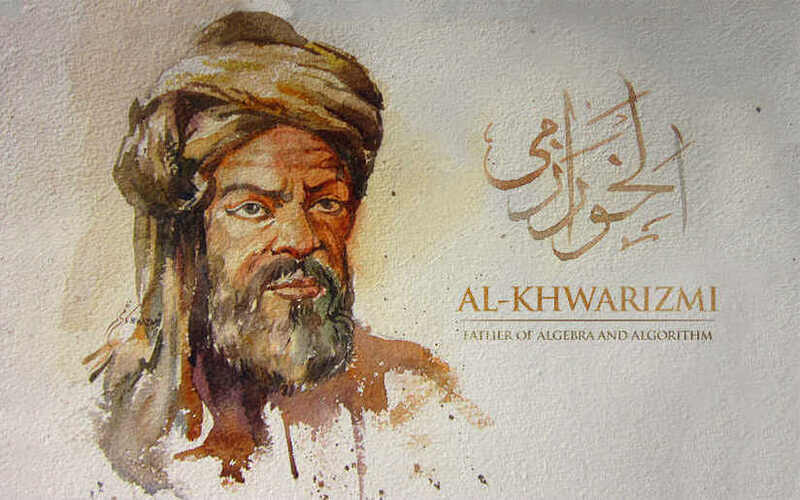 The name of Al-Khwarismi has become immortal in the history of algebra and algorithm. He was a great Muslim Mathematician of the 8th century who transformed the mathematics from digit to letter and gave a pragmatic dimension to the science of mathematics. 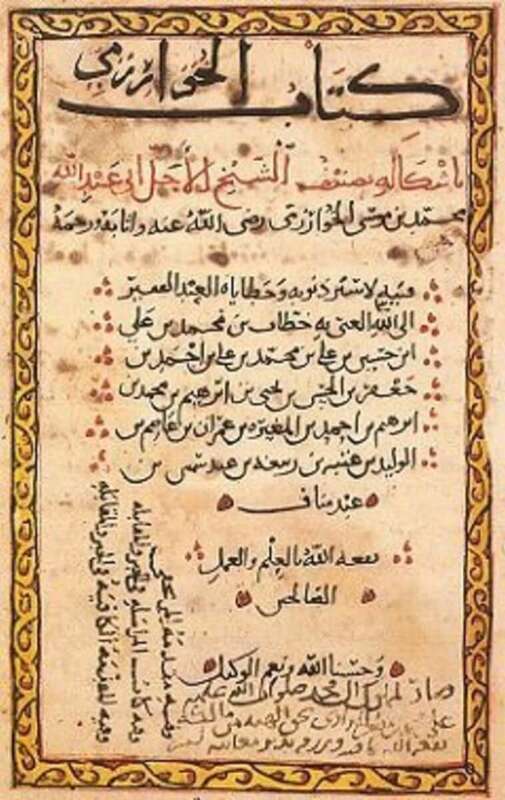 Word Algebra is derived from the Arabic word aljabr found in the title of his great book on mathematics “Aljabar wal Muqabla”, while the word algorithm originates from his name Al-Khwarizmi. Binary Mathematics used in computer programming is based on the algorithmic modules developed by Al-Khwarizmi. He introduced into the Islamic world, and into Europe, the scientific numerals called the ‘Arabic Numerals’ with ten symbols (1, 2, 3….0) and their place value. Abu Jafar Muhammad Ibn Musa Al-Khwarizmi was born in 180 AH/795 AD in Khwarizm, which is now known as Khiva in Uzbekistan in Central Asia. He was known As Al-Khwarizmi as he was born in the town of Khwarizm. His ancestors were of Iranian origin who had settled in Khwarizmi long before his birth. He lived during the reign of Abbasid caliphs al-Mamun, al-Mustasim and al-Wathiq. He studied Indian, Greek and Islamic resources on mathematics and astronomy available during his time. He was also well versed in history and geography. After the completion of his studies, he joined the great Scientific Academy Bait Al-Hikmah (House of Wisdom) in Baghdad when he was twenty years old. He spent all his life in Baghdad, working for the science academy, studying mathematics and other subjects, and writing books. 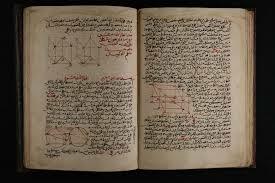 Al-Khwarizmi wrote on all branches of mathematics: arithmetic, algebra, geometry and trigonometry. He also wrote on astronomy, geography, history, music, and astronomical instruments. His book Surat-al-Ardh is devoted to geography, Kitab al-Zij to astronomy, and Kitab al-Tarikh to history. 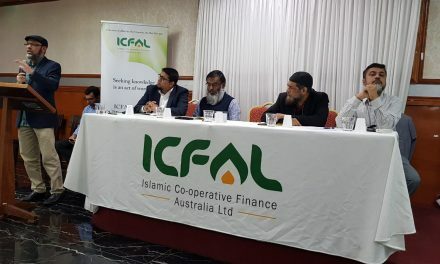 His most important book Kitab al Mukhtasar fil hisab al-jabr Wal-Muqabla (Book of calculation by restoration and balancing) dealing with algebra is divided into three parts. The first part deals with algebra, the second with measurements and the third with problems of distribution of properties under Islamic law. Topics discussed in the book include the basics of algebra; six standards forms of algebraic problems, formulae for their solutions; the four arithmetical operations; addition, subtraction, multiplication, division; areas of a triangle, circle, square; the volume of cones, pyramids and cubes. 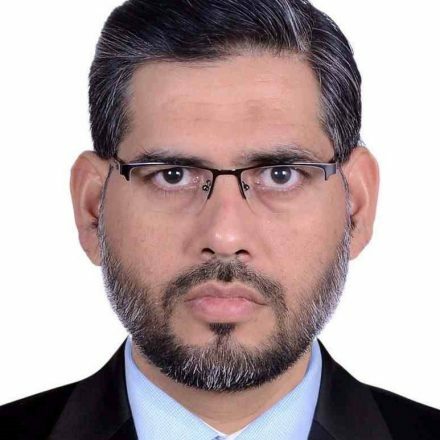 Al-Khwarizimi said that algebra is based on the two processes of aljabr and that all algebraic equation contains three factors: 1) unknown quantity, 2) the square of the unknown quantity and 3) a number. Aljabr (restoration) is the process of transferring the negative quantity to the other side of the equation and eliminating it while Al Muqabala (balancing) is uniting the similar quantities from other sides of the equation. He reduces all problems to six standard forms: 1) squares equal to roots: ax3 ­­­­­­= bx; 2) squares equal to number: ax2 = c; 3) roots equal to number : ax = c; 4) squares and roots equal to number : ax3 + bx = c; 5) squares and numbers equal to roots : ax2 + c= bx; and 6) squares equal to roots and numbers : ax2 = bx + c .
He framed rules to reduce any problem to one of the six standard forms. For example, x2 = 40x – 4x2 is reduced to standard form 1 as 5x3 = 40x. He gave the equation x2 + 10x = 39 which dominated algebra for several centuries. Al-Khwarizmi influenced the development of mathematics more than any other mathematician in history. The West learned the modern numerals and algebra from his books. Kitab al-mukhtasar and other books were translated into Latin during the first half of the twelfth century. One of the CEOs of HP company praised the mooris (Muslim) due to their contribution in the field of mathematics. She believed that if Khwarizmi was not born then the science of computer would not have developed as we see in our life. She told that Programming language is based on trigonometry and derivative which was developed by Al-Khwarizmi. PreviousHow do Muslims view Jesus Christ?